​Travis and his Little, London! 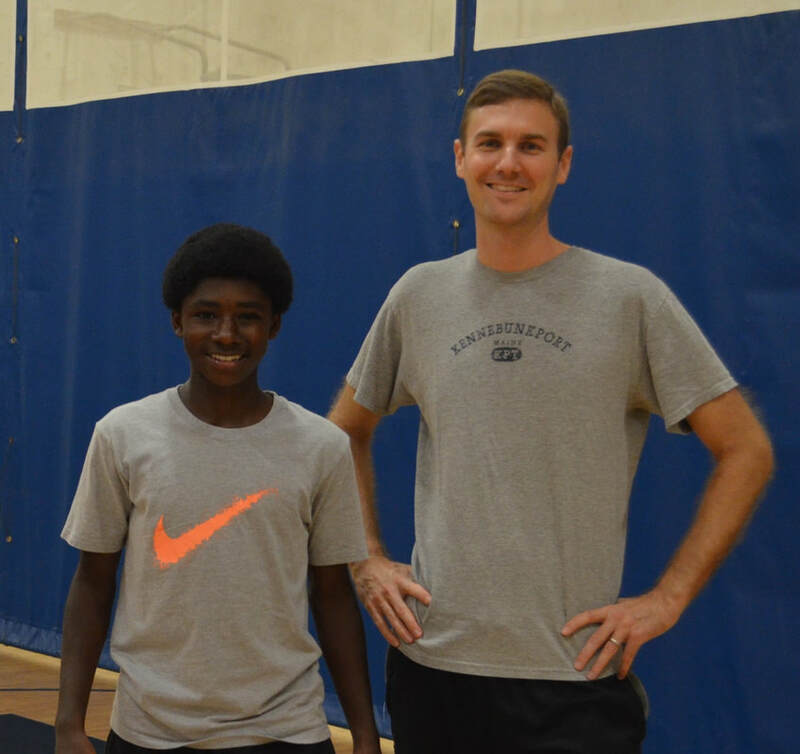 Travis and London have formed a close bond since they’ve been matched – they enjoy hiking along the James River, watching sunsets, working out, bowling, and going to the movies. No matter what activity they have planned for the day, Travis makes sure there’s time to sit down to eat and talk about how London’s doing. When London was having some trouble reading, they started skipping other activities and spent time in the library. When London was having a difficult time with his math, Travis helped him find fun ways to study! London also does his part in teaching and inspiring Travis – sometimes, Travis says, he feels like London's the Big and he’s the Little! Kayleigh’s Little, Taleya, is a rock star dancer but she also loves science, so Kayleigh makes sure to plan activities where she gets to see Taleya’s excitement for the scientific elements come out. One of Kayleigh’s favorite memories with Taleya is of when they took a trip to Lewis Ginter Botanical Gardens. They had so much fun looking at all the plants inside the greenhouse, acting silly and posing with the various types of cacti, but also learning about the differences between each species. These two have grown to have a true sisterly relationship where they're excited to see one another each week! Ashley and her Little, Jazmin, love exploring Richmond and taking advantage of all the amazing things the city has to offer. From swimming together in the James River to venturing out to various summer festivals, these two leave no stone unturned as they look for new experiences, foods, people, and cultures! While out and about, Ashley always makes sure to incorporate reading into their activities. Jazmin was behind on her reading when she met Ashley, but they worked together and at the end of last school year, Jazmin won the award for most improved in her class! Leigh has been matched with her Little, Jazzmine, for over three and a half years. These two enjoy all kinds of activities, but they’ve made some of their favorite memories on the Big Brothers Big Sisters annual ski trip – something they both look forward to each year. Jazzmine loves to remind Leigh of that one time when she wiped out right in front of her! Now that Jazzmine is in high school, they focus less on activities and more on real life. They talk about experiences and feelings and values, so Jazzmine knows she’s not alone and so she sees the world with a little bit wider perspective..
Andrew and his Little, Anthony! This match focuses on enjoying the little things in life – with an emphasis on having fun. Seemingly everyday activities and tasks are an absolute wonder to Little, Anthony, so Andrew likes to reinforce them when they hang out to make sure Anthony is more comfortable with them moving forward. Andrew loves arriving at Anthony’s house to pick him up for their adventures – he says Anthony’s excitement is always evident because he can’t wait to go do something fun with his Big Brother! They often go on walks, but one of their most memorable was for a walk around the lake. Someone may or may not have fallen in, but we’re not telling who! 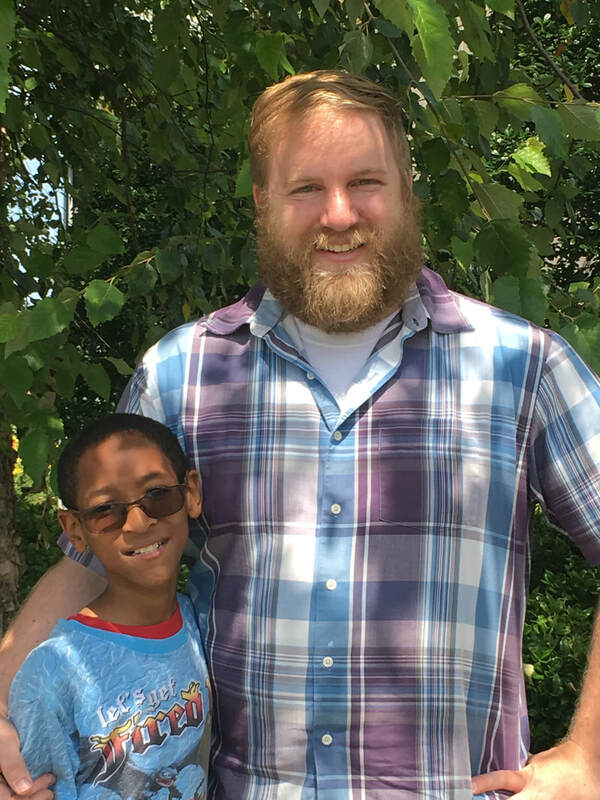 Mike and his Little Micah, have truly become family over the course of their two year match. Micah says his Big, “helped me realize that school is really the start of your whole future and to do the best I can.” Micah is interested in pursuing a career in the food industry, which led Mike to arrange a kitchen tour at a local Vietnamese restaurant so Micah could learn more about what it takes to become a chef. 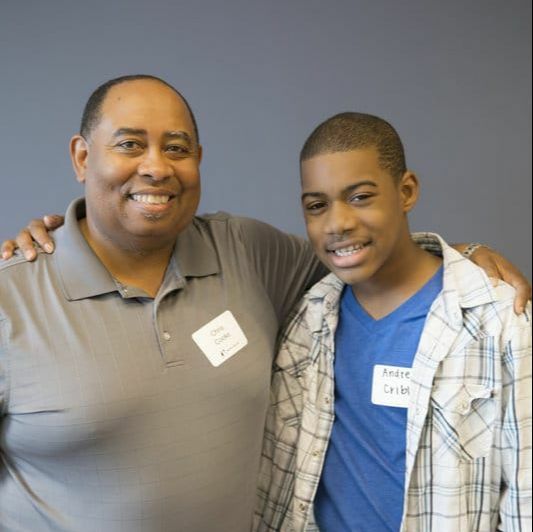 Mike continues to encourage Micah to work hard in school and looks forward to seeing him pursue his dreams in the future! 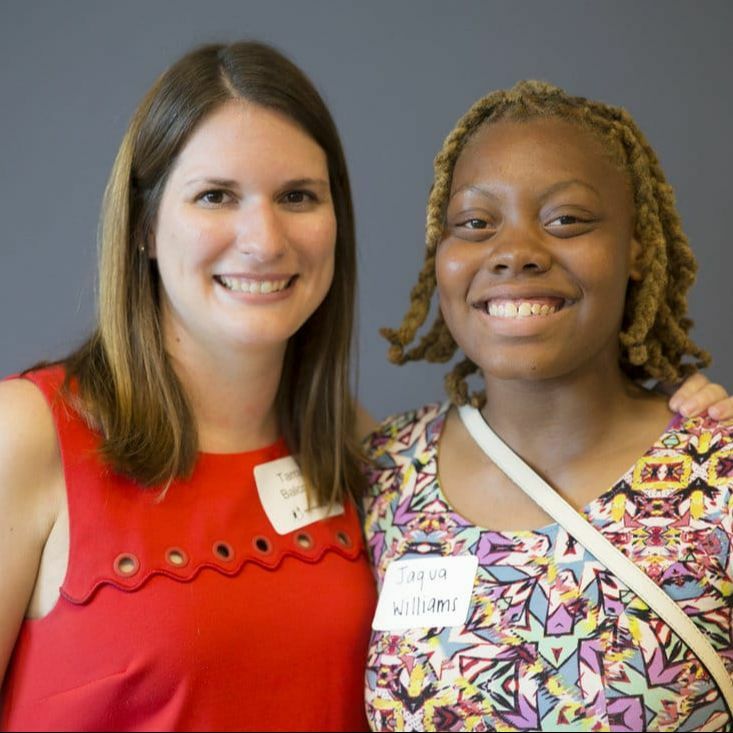 Tiffany and her Little, Virginia, are all about self-improvement and supporting one another. Growing up as an only child, Virginia dealt with confidence issues and always wanted an older sister to look up to and help her through hard times – Tiffany is just that! Virginia and Tiffany spend many of their outings at Barnes and Noble, browsing books, and crocheting. After Virginia worked for weeks on crocheting a hat, the pair jokes that it still turned out looking like more of a pot holder! Virginia describes her Big as, “a great role model who means so much to me,” and now wants to become a Big Sister, “just like Tiffany” when she is older! Greg and his Little, Nick, are two of our most fun-loving and humorous matches. They knew they’d be a great match from the start when Nick said all he wanted was someone to ride bikes with him. So their first outing was bike riding around Belle Isle, of course! Both Greg and Nick value the simple things in life: Friendship, good conversation, and food. Nick was on the shy-side when they first met, but now these two frequently meet for a “walk & talk” where they joke around and talk about life. We’re glad that humor and grub brought these guys together! 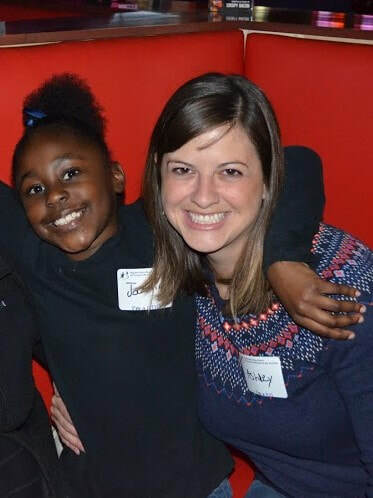 Katy and her Little, Marium, love creativity and enjoying new experiences together. 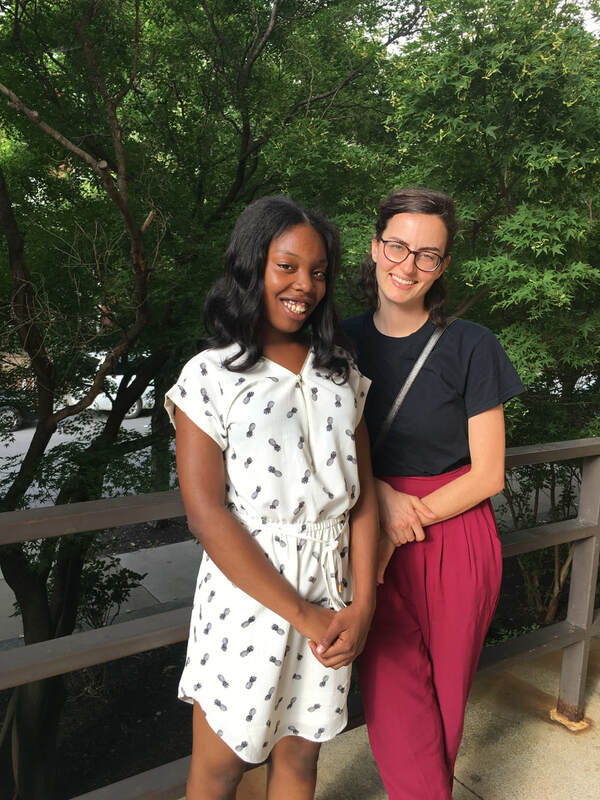 Marium always wanted to learn to sew and Katy was up for the challenge, so the pair began taking classes and making pillow cases at Jo-Ann Fabrics. After a few classes and a lot of practice, Katy and Marium designed and sewed their very own Little Red Riding Hood Halloween Costumes. Marium enjoyed the project so much, she enrolled in a class at school to develop her sewing skills further. Whether it be arts and crafts or spending the afternoon outside with Katy’s dog, Scout, this pair is always up for an adventure! "Jaqua and I met when she was 11 years old. Now she is a rising senior and has her first summer job at Kings Dominion! Our favorite thing to do together is eat delicious food. Over meals, we have learned from each other, grown with each other, and been there for each other for the last six years. It’s amazing to me how we have gone from being complete strangers to family. Matches are initially a one year commitment, and looking back I remember when we were close to our first anniversary as matches. I remember celebrating at Qdoba (our favorite lunch spot) and Jaqua sitting there quietly during lunch. She finally asked me with hesitance in her voice, ‘Can we keep being friends?’ Her concern surprised me, and I assured her that I certainly wanted to continue to be her friend for as long as she wanted. I knew from that moment on that we would become very important to each other. We trust each other and look forward to seeing each other weekly. Our lives are forever impacted by each other’s friendship, and there is no end in sight."